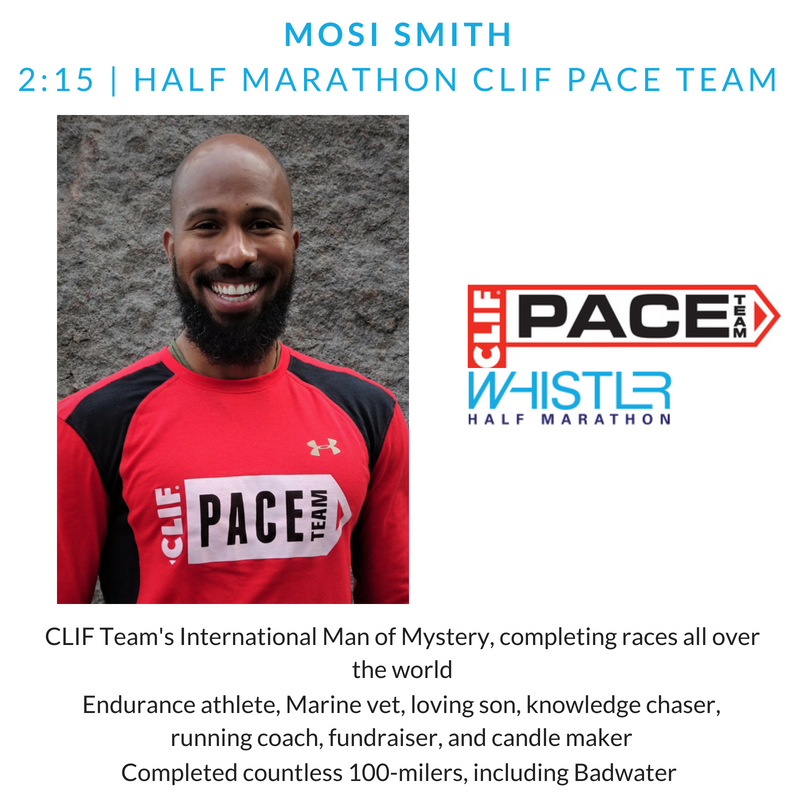 What is the CLIF Bar Pace Team? 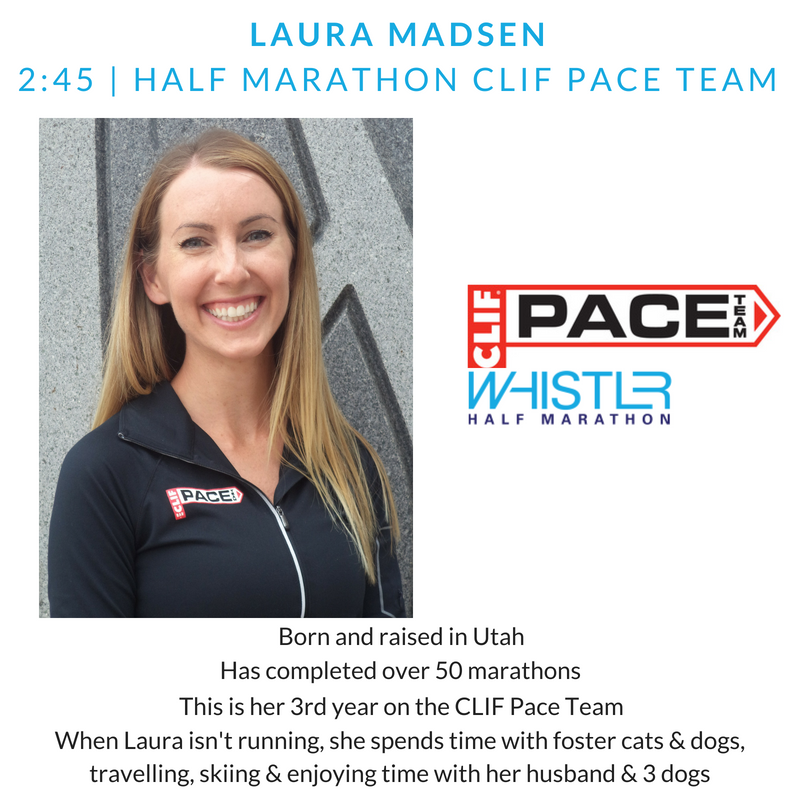 The CLIF Bar Pace Team is a group of experienced runners who help set the pace for runners at marathons and ½ marathons. Part coach, part friend, and part mentor (at least for a few hours! 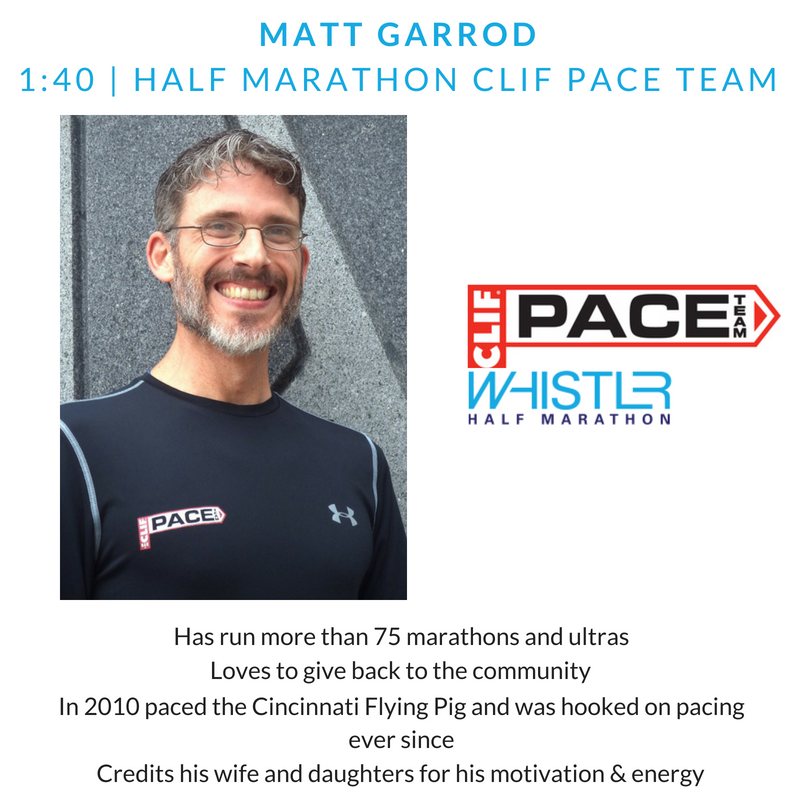 ), the Pace Team leader in your group is an experienced long distance runner who runs even splits (every mile at approximately the same pace) while offering you encouragement and advice out on the course. Each Pace Team leader is capable of finishing the event anywhere from 15 to 30 minutes faster, so they can devote their extra energy to assisting you and the other runners in your group. The leaders also have run multiple marathons and ½ marathons and can share their expertise with you. Curious to learn more? Great—how do I sign up? We don’t have official sign up for our teams, though we hope you’ll stop by to meet some of our leaders and chat with us at the Pace Team booth at package pick-up. If you miss us there, it’s easy to find us on race morning: we’ll be lined up along the RIGHT HAND side of the start area, with signs showing our finish times, with red and white balloons on top of those. Just jump in, say hello, and follow the leader. You’ve finished your race, now it’s time to stretch and recover! After you’ve crossed the finish line, The CLIF Bar PACE Team and the CLIF Bar ambassadors invite you to meet up at the “CLIF Bar Recovery Zone.” We’ll have some CLIF snacks on hand along with some recovery drink. We’ll also have an area set up for some guided stretching so you’re less sore the next day. 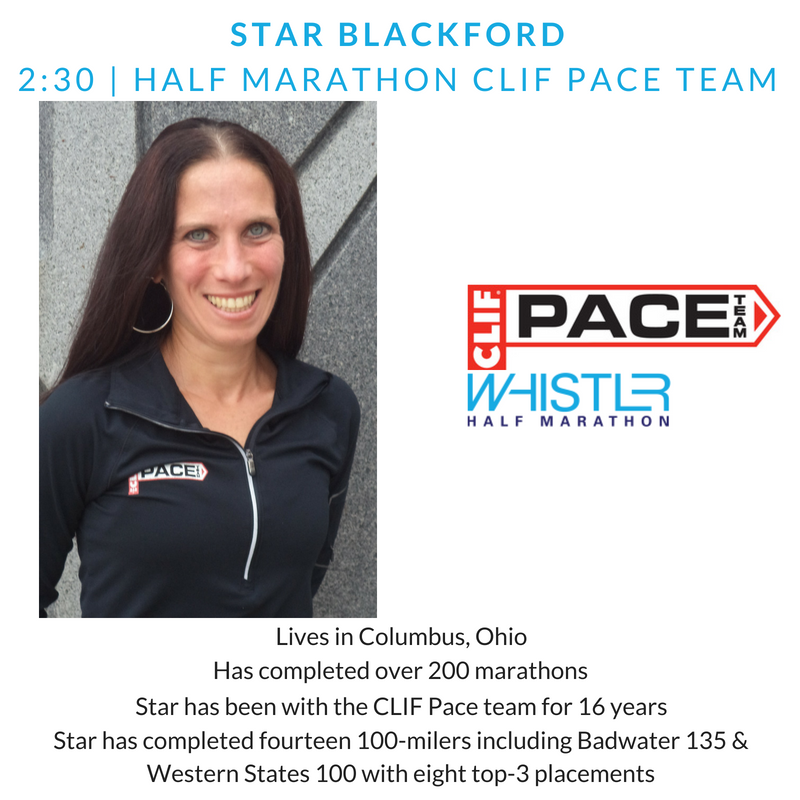 Be sure to stick around for a random drawing for some fun CLIF Swag – all Pace Team runners will be entered! 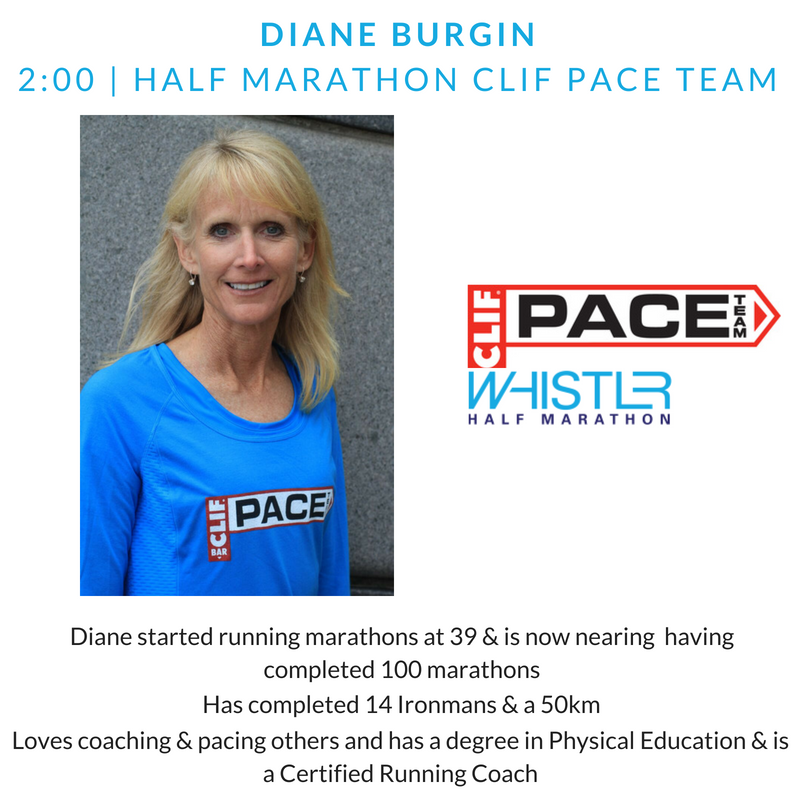 Is there an extra fee to run with Pace Team at the Whistler Half Marathon? No--this is a completely free benefit courtesy of the folks from CLIF Bar! Your only requirement is that you show up and run! What are the pace times offered? Below is a list of pace times and the leaders for each group for this race. 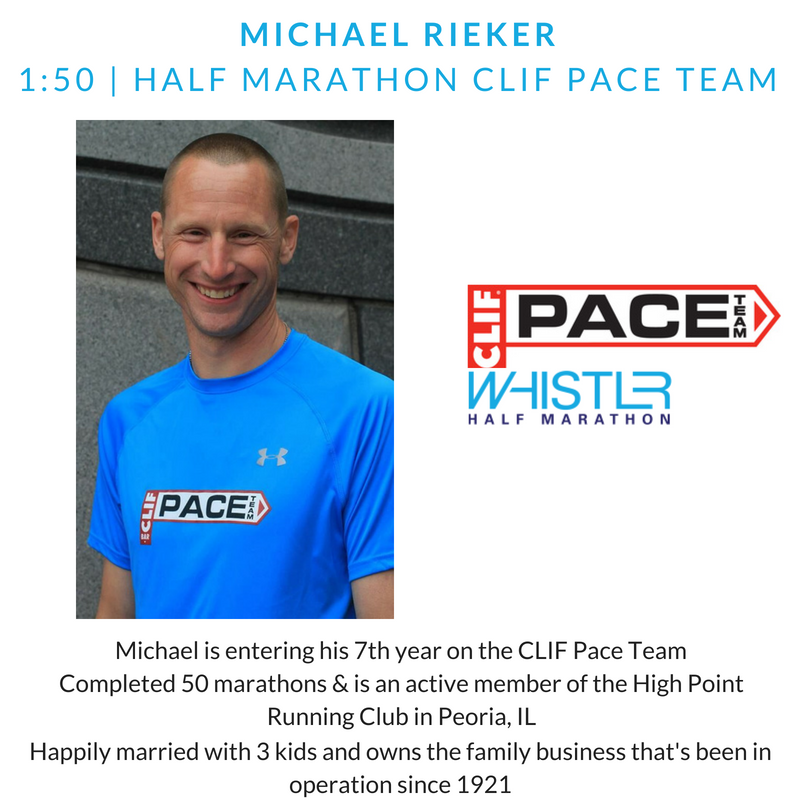 You can put a name to the face by scrolling down the page to find more information on your pacer.